I personally believe that saving for the rainy season is only practical and handy. We are not at all elite. We work hard for a living that is why we were taught by our parents to value hard - earned money. Further, my mom went out of the social norms for women when she decided to sell practically anything just to help our my soldier father who simply had a modest salary to raise a family. I quite guess, I acquired that habit from my mom. Any decent job is ok for me and that I believe anything can be achieved, if only I set my mind to it. I wish to acquire real estate properties, whole life insurance and more for the family. But, it shall take years of hard work, brow and sweat to all of these. Living is never easy. Those who are well - off somehow had paid a bigger price to get what they have. I don't wish too much for myself or for my family. I only wish that we live comfortably. When we decided to go back home and stay for good, the old house looks small for an extended family. Our helpers seem to tired to clean up the mess brought by the kids who just play around with toys and more. Our little bugger, who has turned one year old only worsens the condition. Gosh, the house is simply chaotic. My old room looks constrained too that my husband and my kid all fill the space, not to mention endless cabinets. I wish to redecorate the house, add some vintage pictures, antiques, rugs and practical fixtures to at least, make it more homey and presentable. However, we just have to find time since we are practically busy with all the works we have to do. Sigh! My youngest sibling finally went home for the holiday season. Her fiance and her shall stay until New Year's celebration. My folks are and us are simply more than delighted to have the family complete. We simply enjoy every chance we can have with them since it will be awhile again when we can finally have them for another reunion. We don't celebrate much during the holidays but we value more that we are all together again, safe and healthy. In about one week, my sister, kid and nephew will soon hit the school as we resume with school classes after a two - week break. Somehow, they quite enjoy the time when they do not do much except watch TV, play with their friends and toys, wander around the mall and in the city, and man our food stall until midnight. And, since my other sibling went home for a week of vacation, we can only enjoy the idle time until office and school works resume. My youngest sister who is in her senior high school normally complains of the endless writing reports that she must do especially that she is graduating. She oftentimes asks my pop or me to help her but writing is a personal endeavor that we ask her to draft her composition, and I simply edit her works. Of course, quality is not much expected if you are poor in literature or grammar perhaps. So, it is helpful for the kids and even for the family that there is custom term paper writing service online that they can buy term paper at reasonable rates and with quality works. The custom term paper phd is free from any form of plagiarism thus, the student can earn a higher grade with less worries and pressures. In the family we teach hard work and honesty, but sometimes school requirements can be tough especially if they all are due on the same time. Thus, finding an easier remedy particularly for term papers can be quite relieving. And since graduation time is fast approaching, my youngest sibling can definitely curse the pending requirements she is bound to comply. Poor kid! When we decided to join the December bazaar to sell food, we quite stay up late night since daytime is not at all practical for selling since customers do not wander around under the scorching heat of the sun. But, people traffic starts in the late afternoon until midnight. We tried sending off our kid to our house early evening and simply slept waiting for us. He finally complained that he should join us in our evening escapade once his school goes on vacation. Consequently, we have to bring him with us until wee hours in the morning. We quite adore him whenever he helps out in fixing the tables of the customers after they dine. My kid however, demands that he should get a salary from doing the help. hahhahah! We wanted to teach the value of money and work that we simply encourage the hired help. His father and I did prepare for his educational plan and we got another insurance for him. But, I wish I can have personal insurance even through online life insurance so I can prepare for my retirement or otherwise. I don't want that my family will suffer when I am gone or something. It is always nicer to prepare for the rainy days. Every week I get to prepare test questionnaires for my kid and nephew. I have to make two copies of the tests and keep these for their quarterly test. Whenever I can, I type the questions through my notebook and just save them in my flash disk for my husband to print. But my drives are all filled up with other business and school documents that I shall be needing a new flash drive again. I happen to see some Custom usb drive that can be fun to show off. I may have these as gifts this holiday season for my siblings too. The kids still are on examination this week. So, I have to still use the questionnaires for reviews. My kid then, can enjoy the rest of the week for games and plays. As much as possible, I spend time with my kid. We hang around the mall while visiting our store, or dine together and do story telling every night. I got this picture on a lazy day and just had fun time for picture taking. 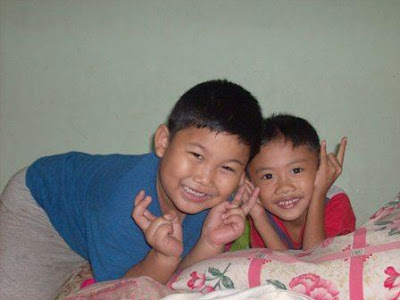 My nephew just had his birthday last December 4 but we had not much time to celebrate it. We just have to bond together at our food stall and had simple meals. My mom just bought him and my kid toys for gifts. But, December has been a month of parties, vacations and special occasions. No wonder there are invitations like wedding invitations that go around the corner. We were invited too to join already reunions and my sister just committed to attend to her old high school. We cant wait to have the vacation and just enjoy the long time for rest in spite of the hectic works we have to work through. When I resigned from my 8-hour job to concentrate on business and part - time job, I thought I will have greater time. But, there is not really enough time for a business person. Sigh!!!! 24/7 is not really enough for me. Every morning, the family gets wacky when we prepare the kids for school. I spend the morning in our boutique, while I go to school in the afternoon. I head then to our food stall to check on what they need, head home and then go back to the food stall again, blog in the late evening and doze off for 5-6 hours. waaaaaaaaaaaaaah!!!! The family helps around with the kids and the store, so the burden is lighter. I just dont have time though. Since we brought the family van from Zambaonga City to General Santos City through two days of land travel, it has become the family service of the entire family. Whenever the big family decides to shop around the malls or go to sight seeing or bring stocks to and fro the old store and to the exhibit area, the van has remained enduring. But, we are quite alarmed with its cranky noise and unroof garage. How I wish I can finallly finish the house and create a decent garage with a nice garage floor to complement. Until then,, we can only take care of the van and cure its symptoms whenever we can. But, should we decide to go for a very long travel, it has to go through a serious mechanical check. Since we are new with food carts, we quite have a struggling time. The first was when we had to make a good tent for the new business exhibit. Good thing, a co-exhibitor/friend helped us with the tent construction. Further, my parents and siblings had to help us with the other nitty gritty of what should be prepared and done. After hours of selling together with our sales assistant, we are dead tired that we missed to celebrate the birthday of my nephew. I must however, ask the family for a weekend off at daytime since the kids will have their quarter exams. Geez, I really like to sleep already. From the RTW and furniture business, we decided to diversify our resources by going into food carts of finger foods that are nutritious and healthy at the same time. We started with our corn, fries and tuna-valued food in the last exhibits we did at the mall and in the MunaTo bazaar, the earnings were really not that big but at least, it was steady and regular. With our busy schedules and left - and - right affairs, we miss watching movies from our computers and big tubes. I wish to read the Twilight series too. It shall be pretty exciting to watch the new Twilight movies through Samsung HDTV with popcorns and drinks to relax. After this holiday season, our business affairs will slow down. Until then, we shall be pretty busy. We are through with the mall exhibit in Gaisano and the MunaTo bazaar in Alabel. They were done simultaneously although the MunaTo exhibit only took 6 days, the family was consumed by busy travels going to and fro one store to another. Although, we are back to our usual course, we shall be quite busy again as we have another exhibit in the city's local plaza with food carts to boost. Also, the Gaisano permanent space shall fill us with government papers and building renovation. This weekend, we shall have a dry run of cooking the finger foods we shall be selling next week. The store exhibit shall be a new one for our food ideas and it will run for a week. We shall however, prepare the tent, get some tools and clamps in a way that the tent will hold through wind, rain and heat. Our major problem now is that the days have been raining. We may be facing harder weather conditions unless we get prepared for any situation. Further, after the week's exhibit, we will have the same store exhibit for a month starting December 4 at city's local area. The mall lease shall soon take place in December. Gosh, we shall be running loose with works left and right. The family has a town ace van and I did practice driving it. However, I simply got scared moving it on the busy roads thinking that I shall hit other vehicles. I don't want to drive the motorbike too because the risks are greater especially if I drive alone. Further, I don't like the extreme heat or rain with all my bags along. I did tell my younger sibling that we should save for a small car to drive us around the city but it shall be a while before I can fully save for a vehicle and its auto insurance as precaution. Perhaps with strict savings, hard work, owning a car can be possible. I may ask my other siblings to invest on this property soon. I got these pictures dig and I can't only wait when I get to see them again for another hang out and fun. Two of my other family members are bloggers too and in this date, I was able to tag along my kid. hahahhah! My younger sibling who is an Electrical Engineer in Manila is actually engaged and plans to get married next year in Baguio City. 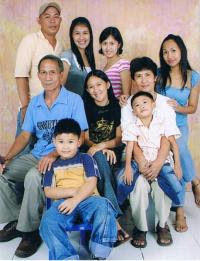 Since the entire family is here in General Santos City, it shall be very costly to go for long travels by boat or plane. My mother then recommended traveling through our family van using an updated map and reliable gps to guide us through. My pop knows how to drive a four - wheel vehicle and so is my partner, but the travel to Baguio shall be a long way that I need to learn how to drive too to take turns with them. My younger sister shall be quite delighted to see us all especially on her big day. I only wish the family van gets better and my driving skill improves. When I resigned from office job, I thought it would be lighter to attend to the family, business and part time job. But, for someone who is restless and have so much work at hand, 24/7 time is never enough for rest, fun and more family bonding. I get to enjoy attending to my kid's morning needs before he goes to school. But, after that, I am filled with blogging, programming, teaching and business. tsk tsk tsk tsk ! I guess by next year, I can just handle 1 subject so I can manage my free time well with my business and family. I can only hope for more time for fun and rest. Every morning is spent with cups of coffee. Only the kids will take a chocolate drink. This has been the regular scenario. Most of the time, we consume two (2) cups of coffee a day. I remembered when my graduate school buddy joined me during comprehensive exam reviews, we filled the day with books and cups of flavored coffees and donuts. I want my coffee usually creamy and flavored. I am so in love with it that I wish to learn how to make coffees with Capresso as equipment. Our old home grows coffee trees in our backyard and most often, the coffee beans are gone to waste because they are not processed. Drinking coffee is sweet and relaxing, making coffee on the other hand, stressing but interesting. I always love its fragrant aroma! My cousin decided to resign from her work after acquiring recurring allergy from her job. She was advised medically to stop working so to keep her free from her skin disease. However, this means losing her almost a decade of job. She did look for some cheap apartments for rent to start anew but, the high costs restrain her. Thus, she decided to come home and stay with us. She somehow helps us running with the household chores. And, we are simply glad to have her with us. My mom and I can however, give her allowance. I hope she wont get bored with us. Last November 15, 2009, my 16-year old sister and my 7-year old son joined the first Stack Competition in the city. We actually bought the stacks set for their practice. More than 20 kids joined that afternoon. However, my kid did not join in the final round since other kids were more fast than but my younger sibling had the chance to make it to the final round. The kids did not win but they learned one lesson, practice makes you a winner. Here is one video of the world's fastest stacker in the world. He can complete all the cycles in less than a minute. whew! He happens to be a Filipino - American. Yehey! We are all back to work and school and after a week of vacation for everyone, funny though that the clothes we usually wear are now tighter. We went to the park twice this week where my husband and kid spent the early morning on their inline blades while I jogged around. My kid kept on saying he lost weight pounds already since he exercised. I could only applaud his efforts and encourage him to do regular fat burner with his blades, bikes and playmates. My husband and I on the other hand, are finding the time to go to the gym for some weight loss through the equipment and aerobics. I was about to be totally unemployed this November when my old school decided not to hire back a resigned employee even for a part-time arrangement. Don’t get me wrong though because I worked well and competently. I guess people just have hard time letting go of people that when they leave, the circumstances are assessed subjectively. I was totally sad but my husband and kid were more excited to have me as a fulltime mom and wife. I can only be more relieved. I guess when priorities are clearly defined, sometimes a problem may become an opportunity too. Tomorrow shall be the official class day for us at college and since I decided to go back to school and teach, I wanted to bring our motorbike as a service vehicle. However, the extreme hot weather in the Philippines does not help at all with my poor vision. So, I need more good pair of sunglasses and I got a nice pair from online. They have a wide selection from their New Arrivals starting at $8 Prescription Zenni Glasses. And since, Christmas season is coming, they have cool Holiday Fun Eyeglasses too for everyone. I wish I can be more confident with myself in teaching and in driving. My family should still have to go with me. Our Family's Fave Movies and 100 Movies Must See! The family loves to watch movies and there are simply a number of movies that I won't get bored reseeing again. Goodness, we must have seen a number of stuffs. hahahhahah! But here are the 100 movies recommended by Yahoo! Movies staff that we should see before we hit the grave. Now, it is back to school and office work, my sister, Tammy and I are back to attending to the business ourselves. But, I have to drive the motorbike myself and bring my sibling to her store location while I head to the other store. Geez, I simply get nervous driving alone than with having a passenger by my side. hahahhahah! It is really quite different when you try something new when you are quite very old. It seems like phobias and skin wrinkles are simply part of the aging problems that I would want anti - phobia and best wrinkle treatment to address most of my concerns. I asked my sister if she wants to learn driving too, she simply replied a big creepy, 'YIKES!" I could only focus and relax and pray that my driving will not cause any harm to both sides. It is November 3 and the entire Philippines is back to regular work and schooling. I had to send off my kid and nephew to school after my husband and I hit the early morning for a the long - over due jogs. Our college school shall however, resume its classes next Monday. Until then, I can devote the time to business, family and Korean teleseries. hahahhahaah! I hope I still have the energy to do everything. I started my sweet corn selling when my RTW was not doing well during our mall exhibit. The sales were meager but they were steady. And, when we transferred the mall exhibit to outside of the mall, we decided to stop first the sweet corn selling. However, the sales again had been small that we are back to selling sweet corn again. Problem is we are also buying our own share of the corn. hhahahahha! After my blog update, we shall bring the corn again to it's place. My husband took the day off to spend the day with me as I just arrived from a few days of out of town. And, since it is my mother's birthday, we might as well enjoy the rest of the day. But, after 24 hours of no sleep and sitting during bus drives through six cities, I could feel my body all aching and my eyes are all swollen that I shall look for some eye wrinkle cream to improve my zombie appearance. After, some blog updates, we shall all head to the store and check what else can be done. It is simply so nice to be back home again. Twitter Backgrounds I just arrived from Zamboanga City after a few days to attend to my orthodontics therapy. And, I was all adamant to go home that I took the 24-hour bus drive. Gosh, I was dead tired when I arrived home. However, on my way home, I just remembered that Oct 28 is my "nanay's" big day. I pretty remembered she had hard time raising us her kids. hehehhehe! But, I always love her and will always love her. She is my greatest woman! Happy birthday nanay! Geez, what will I buy her for a gift? We like to travel a lot and we simply enjoy the luxury of scenery, good food, new and old friends and more. We have been to different cities by land, boat and plane and the experience is always unique and memorable. But, what we normally do not like about the long travel is the engine trouble that the boat or car would experience, well of course, I hate airplane engine troubles most! We don't mind where we sleep provided that we would just be safe and somehow, convenient. We tried tents, motels, friend's house and more. Now that holidays are coming, vacations and Pilgrimage Rome are few of the things people do worldwide. As a Catholic, I wish to bring my family to Rome and just stay even at rome apartments for cheaper rates. A travel to Spain and a stay in hotel barcelona will be much much fun too. Travel does not only bring forth much enjoyment but also great learnings from the different experiences one will have. It will be more fun if one can try the delicacy of every destination city or country one will go to. But, how I wish I can see the landmarks of each city and enjoy its festivals too. Bringing some cameras for some memories would be a big MUST. I will be traveling by land tomorrow and I hope I can enjoy every scenery along the way. Gosh! I never thought that my travel to Zamboanga City will cause not only much financial expenses but so much inconvenience too. The ferry that is supposed to bring me back home has called up home in Gensan and texted me of the travel cancellation until November 23. Waaaaaaaaah!!!! I must however, head home tomorrow by land travel for 24 hours instead of waiting for Friday for a plane travel at similar costs but with wasted time. I kinda miss my family from few days of being away from them. Staying here made me spend more to fill my time. Gosh, I am incurring costs more than I should that I prefer to take earliest flight home. I only wish that the travel will be safe tomorrow. Since I am out of town for few days, my kid and nephew have been bugging me for their gifts. I can only buy them some good toys at cheaper rates. 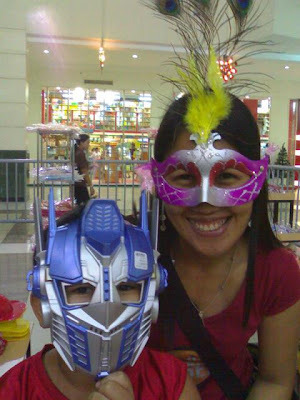 However, I am having difficulty buying for safety products and toys for my one - year old nephew. I quite remember that when my kid was growing up, I kinda baby - proof the house. So, when I was asked for another baby, I told them, I had enough experience to last for a lifetime. I only pray that the kids will grow healthy and always safe from harm. I have been away from my family for four days now and I quite miss them a lot. I spent most of my time catching up with old friends after my orthodontics treatment and mall window shopping in between. hehehheheh! I only manage to connect with the family through text and calls and now online chats. Boy, I cant wait that it will be Monday so I can go home and be with them. After weeks of laid back life and busy days from the business, we decided to drag our butts to the park for a jogging and inline skating. I feel so sluggish when I grow weights that I really want to shed off the extra bulges. I wish I can try weight loss pills for fast results but I also know that exercise and diet should complement any other weight loss solution. We were only happy that my other sibling, nephews, and kid joined me for an exercise at early morning at our local park. I can only wish I can sustain the regular exercise. When we pulled out from our mall exhibit, we thought we can resume to our usual routine but I want to maximize the opportunity of the coming holidays that I convinced my sibling, Tammy to take one stall from the exhibit just around the mall premises. So, after we rearranged the boutique from ours weeks of mall exhibit, we shall be buzzing around again for another exhibit. waaaaaaaaaaaaaaaaaah! I shall however, be back to the busy busy days of attending to 2 stores. We can only hope that we shall do better with the smaller rent that we have to pay from the exhibit. But come next Tuesday, I shall be off to Zamboanga City for my orthodontics therapy. tsk ! tsk! tsk! At least, I shall have a break and rest from everything. My family is quite lean although, we gain additional weights here and there but still we go around the average weight for any person at our age and height. But, I am quite worried with my kid who is bigger than his usual age. He is quite physically active and runs like hell but he could not lose that bigness. My acquaintances would say that he is after his father who is also big. So, whenever we can, we go to a park for my kid's play time or exercise with his in-line blades or bike. I know he is too young for diet pills or something. I just have to know accurately from diet pill reviews for kids and with obesity problems. Your family isn't perfect, but everyone's pretty good at working things out. There's probably been a bit of family drama in your past... and who's to say it's over? As long as your family communicates openly and respects one another everything should be fine. Everyone in your family does love one another. They just may not be so good at showing it. My family previously joined the 2nd Mindanao Bloggers Summit in General Santos City last year. There were more than a hundred who joined the event. 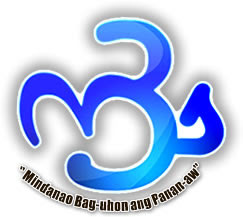 And, we only wish we can join the MBS 3 in Cagayan de Oro City. However, my kid will have his school play on October 24, the same day that the event will take place. Last year's event was an all-free that we kinda expect to have the same scenario for MBS 3 but unfortunately, resources are not enough. I wonder how much are the hotel rates in CDO or in new orleans hotels among other tourist areas. For those who are interested to join in the summit, click here to pre-register. When I started blogging last year through Mindanao Bloggers Summit last year, I seemed to have acquired a new family too. Whenever there is an occasion for us to meet, we simply convene in one place and just dine and catch up with updates. We also meet oftentimes in concerts held in the city with tickets as freebies. So, yesterday during the SOCCSKSARGEN Grand Eye Ball, we quite met a lot of new and old bloggers as far as Marbel and a balikbayan from USA. We just can't wait until next gathering and fun. Allergy is set to be hereditary. My mom has that illness and so, it simply run among us children. We quite have different allergy attacks; mine is the colds early morning and the rashes when it is pretty cold, and unceasing sneezes from dusts. My other sibling got their asthma too. My kid and husband have their individual allergy set - offs. Although, there is no medication yet to eliminate allergy for good, somehow, medicines are there to prevent or correct the symptoms. There are allergy and colon cleanse review that may seem beneficial to at least prevent the occurrence of attacks because severe allergy illness may be too difficult to contain. It is just irritating to endure this allergy when you know you are better off without it. Mall exhibit again for us! My kid and nephew will have their second quarterly exam starting Monday until Friday and because we have our mall exhibit in 2 malls, I am not yet done with their reviewer. We all go home and sleep late that moving another inch is already too much to ask for. We are all getting afflicted with flu and colds. We shall however, pull out our stocks from one mall today and then, stop the exhibit next Friday from the other mall. Perhaps, by then, we can all resume to our regular routine and rest more. When we opened our botique this year, my sister and I agreed to manage the store both especially if we shall be getting mall spaces. We pretty did not like the exhibit arrangement and I have been getting feedbacks to be part of Gaisano for good. We do get tired of the long exhibits and truly they drain us personally especially the sales have been scarce. I need to refer to business plan consultants so papers can start working for legal reasons. We could only hope that the mall space can be granted so we dont have to join exhibits in the future. The pasaway girls including Mommy-Tita! These are just very few of the pictures we got from the September concert of Side A band. We simply forgot the pics until one fellow blogger reminded me. hahahhaha! We sure had fun enjoying our VIP concert tickets. 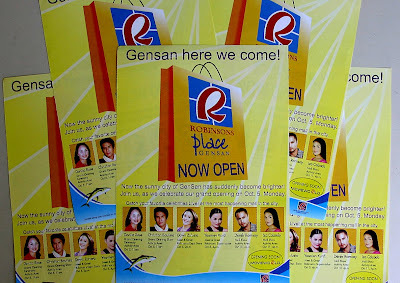 October 5, 2009 is the Grand Opening Day of Robinsons Mall and the place was sure packed by hundreds of people. We took advantage of the opening day by joining the exhibit along their hallway. There were a number of stalls selling rackmount lcd,apparel, food, appliances, cars, real estate among others. The opening day was highlighted by local concerts in and outside of the mall. I missed the celebrities as I manned the Gaisano mall exhibit. Well, at least, we have another place to wander around. Since we started the mall exhibit, we have been all consumed day and night. We have been sleeping past 1 am since last Thursday. Gosh, I could actually feel my eyes burning and toes complaining of over stress and fatigue but under sleep. The exhibit will run until next week. Only then, we can be more relaxed. We could actually hire extra help, but that would be added expense. I guess, when I will be back to teaching, I have to have someone man the store and simply oversee it. I really wish for extra long sleep in the coming days. With economic recession, people worldwide had lost their jobs, experienced price hikes on all basic commodities that they can only resort to finding additional job to supplement their present earnings or to using their credit cards to purchase or cash advance or pay off bills. It is always easy to acquire a new credit card and purchase just anything with the fast swipe. However, I can only feel the pressure of these credit cards when billing statements come in and I have little to pay off other bills and to buy house needs. Although, when people acquire credit cards, they must take full responsibility to pay off their dues. Worst, they acquire more credit cards and simply lose themselves in deep debt. When I realized that the credit card is tempting me to overspend, I started leaving it at home and enclosed elsewhere so, I won't have to use it impulsively. It is but, saddening that there are indeed others who go for loans from different agencies just to address their needs that even their paycheck is already on the custody of the creditors. So, it is nice to know that there is an agency who makes use of debt consolidation. You may want to know, what is debt consolidation. It is a technique where all your credits or debts from auto, credit cards, personal or house loans, mortgage are combined into one while the debt consolidator handles the rest of the creditors at reasonable rates. To consolidate debt, it reduces the hassles of keeping all the records from different creditors and reducing your interest rates at incredibly lower rates. If we are all just informed and responsible debtors, we can actually negotiate for our debts so we can keep our reputation intact and to save us from getting demand letters. I had asked my sister, Tammy and my partner to join me in the Air Supply Concert's blog contest to win VIP tickets and extra tickets for my parents and the gang. I did win the VIP tickets and I gave these up for my parents so, they can watch the concert afront while my partner and I stayed next to the ceiling of the gymnasium with the rest of audience. My folks simply had great time and that they are asking when the next concert be. hahahhahah! I miss the up close and personal viewing with the artists but no regrets for letting my parents have fun! Once September comes in, we hear Christmas songs already. And the malls start to put in Christmas decors and christmas cards. With the music and cool air, somehow, the mood gets festive. We always love Christmas holidays because of the long vacation, reunions, eating and bonuses. hahhahahahha! We asked our younger sibling when she and her partner can visit us here in Gensan, she only replied that it would have to be in December. There are indeed a number of Filipino traditions that manifest faith on Christmas. Who would not know of Simbang Gabi at 3 am every morning for nine days and shall commence on December 24? Although, I had not attended one since I preferred the early morning to sleep. Well, Christmas is indeed coming! My kid is counting the days that I shall be officially unemployed. And if you ask him, what we would do once I stopped working, he would say, we will just wander around. 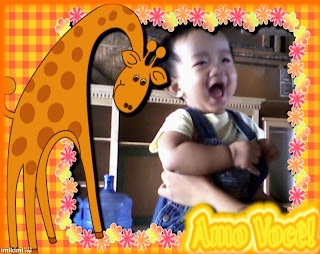 I always love spending time with my kid and whenever I can, I kiss and hug him a lot and say "I Love You." He is quite sweet but very very playful and persistent. Last night, I had to ask my husband to copy some video clips into my notebooks since we will be manning the exhibit for 19 days at Gaisano Mall. During our first exhibit, we complained of more personal expenses than earnings because we have to buy our meals from the mall every now and then. With nothing else to do except wait, eating seems so natural for us. waaaaaaaaaaaaah! So, to keep us occupied while sales were bleak, we stayed on the stall's area rugs and watched good movies. I only have three days left of official work then I will man the exhibit full time. Good luck to us! We used to jog every weekend but when we stopped, we became lazy to resume the old routine. Now, that I could not fit into my old pants, I know I must go back to the regular jogs. With the city park opened and renovated, we mustered our laziness and hit the road. 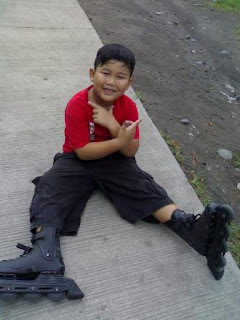 My kid settled with his inline blades while my husband and I had brisked walking and jogs. I only hope this will continue especially this coming week when I shall be officially resigned from office. My folks were all worried yesterday as they saw the flooding condition in Manila. They kept on calling an texting her of their conditions. Last night, we could have them through Skype for a video call. They are ok but shall remain stranded in their home. Good thing, their place is at the second floor and they have stacks of food to keep them until the flood subsides. Funny though that my sister would have to ask our condition and the kids' than being worried. My son rather shouted toys for their school performance. We just remain hopeful that the storm would eventually pass. We were quite worried with our younger sibling who is residing and working in Makati City. We could only pray that she will remain all right after seeing streets heavily flooded in area and elsewhere. The water is rising chest level that some would have to stay on their roofs to remain dry. Last Saturday, the storm ONDOY hit Luzon and my sister and her partner had to traverse the road with water up to their chest. And now, their appartment is filled with waters knee length. I got this video clip of how houses and people are being swept off by the flood. It indeed gave us a chill. May everyone affected be all safe and sound. My sister, partner and I spend the usual mornings and evenings with laptops to work on blog updates, opportunities or simply work-related stuffs. It quite helps that our router allows us to do remote and flexible internet surfing whenever and wherever we like it. I became quite passionate with internet only last year when I started to blog and get to know other internet works and read contents about everything including free seo services. Internet usage has become a daily routine for all of us. Even my kid is hooked to watching his favorite movie clips from Youtube. However, I must guide him well since there are also unwanted sites from the net. My sister and her kid are finally back after more a month of staying in Manila. Although the house if more wacky and chaotic because of the litter and noise, we would not want it otherwise. Ziggy, my nephew who now has 3 bulging teeth and walks like a drunkard! My folks are also getting used to this little bugger that they can't help but attend to him whenever they can. hahhahah! We are simply happy to have him back! On Monday, we shall be joining the rest of the businessmen in a mall exhibit in Gaisano Gensan. We have been waiting for our permanent mall space but the structures are not yet built so, we can settle first for an exhibit now and then. I wish to join too in Davao Bazaars, I just have to ask my friend to help me with the procedures. We shall have to prepare our display racks, bags, fashion accessories, perfumes, sandals, flip flops and apparel. We must however, buy more stocks to replenish including Naot shoes for others who want stylish and quality footwear. I just have to finish my last three days at my job, then, I shall be officially unemployed on October 1 and get busy with the exhibit and with the family around. I can get my kid to visit me at the mall and have fun together. Every love song is a story but not all love songs can be as sentimental, true, and soul-piercing like the songs of Air Supply. The band may have started way back 1970's but their soft rock love songs overwhelmed generations after generations. Their songs remind me of my old love memories, heart breaks and moving on. I first had fallen in love with Air Supply's on a public bus heading to Davao City with my former boyfriend. With fingers intertwined, head resting on his shoulder and with music aired, everything seemed magical and heavenly that I could only wish it would not end. The emotions then, were quite strong that I felt too consumed. Nothing and no one mattered except US that I lost my best friend in the process and ignored my parents' strong resistance since he was of a different religion. I guess at that time, love for me was to give all even if it meant losing myself and beating the odds. The music like Come What May, Lost in Love, and Having You Near Me spoke the very feeling I had for this guy. I came to set my mind that I would eventually have a lifetime with him. Love songs and moon dancing made every word of " I LOVE YOU " more than just words; Somehow, it felt that anything can be done as long as we were together. I indeed hang on to those words until he left me to pursue his dreams. He gave me a bond ring to keep and to remind me to just hold on until we could be together again. Long distance relationship seemed fine to us both until the regular calls were scarce and eventually, heartless. As I consumed my pain through friends, drinking and karaoke singing, Air Supply's songs made the loss more bleak and dragging that tears and emptiness seemed to be part of everything. How can songs be so sad? I simply cried that out. And when I thought I could not get over him, my childhood sweetheart persistently pursued me. I just had to let go of my old love and moved on that I decided to make it anew. And, to mark this commitment, I gave up my old bond ring and simply bid goodbye. I have my own family now although my marriage has its lapses and would dream what would have been if I married someone else, I could only wish that my old love had his dreams fulfilled and happy with his life. However, realization came too that I simply love my husband more. And, what I thought was a great love was replaced by much undefined emotions, too intense. 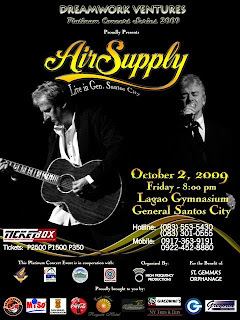 And when GenSan News Online Mag announced Air Supply Concert in GenSan, I can't help but be filled by memories again. I can't thank enough my family's favorite, Grab A Crab Restaurant and Dream Ventures as the producers. The concert will surely bring everyone down to memory lane of their own love songs that spelled their love stories. And when I was asked from What Air Supply Song Are You? Blog Contest, POWER of LOVE will be on the top of my favorites. The song tells me that as long as my husband and I remain in love, not even our past love can haunt and consume us. It makes me fall in love again and again and say " I DO" once more without inch of regret or remorse. So, thank you all sponsors for bringing great love songs, for rekindling good memories of loving and for giving more sparks and meaning to LOVE and MUSIC. Their sponsors include the City Government of Gensan, GenSan City Chamber of Commerce and Industry, ABS-CBN, O MISO Hardware, San Miguel Corporation, Coca Cola Bottlers, East Asia Royale Hotel, Coffee Dream, Giacominos, NY Fries and DIps, Gaisano Gensan and Georgia Printing Press. I am no medical person but I don’t believe too on alternative medicines. So, my medicine cabinet is all filled my commercial medicines. We normally give my father vitamins for adults to at least increase their resistance and hasten eating and sleeping conditions. However, lately we failed to bring him his old vitamins that he has been complaining of deprived sleep. He happened to get few tabs of shark’s oil as vitamin supplement. I told him to be watchful of the effects like what we read from supplement and diet pills review. After three days of use, he is claiming of a better sleeping pattern. If this is due to that shark’s oil, I really don’t know. We can only be careful from fake and/or harmful medicines. My son is quite hooked to watching movies. He is however, addicted to watching Power Rangers and lately, BEN 10. We were able to buy all the episodes from Season 1 to Season 6. Gosh, he must have watched these CD’s the thousandth time. He was even more excited since he has toys that are all BEN 10. Just recently, he wanted to make me buy him a pair of light-emitting eyewears from BEN 10. Tsk! Tsk! Tsk! I don’t know why he would just stick to these films and not something else. I thing for sure, he knows what he wants and will want in the future.hahahhaha! My kid is sick of tonsillitis and the usual complaints include fever and throat pains. I am only worried that my quite active son has become weak and lost his quite active appetite. He however, ordered ice cream and some milk yogurt. I had to bring him to his pedia yesterday for some meds and he has to be absent from his classes since I don’t want him to mentally work while he is sick since that is not also healthy. I only am sad that I have to leave him while mommy shall head to work. The problem with the Philippines is that our country is basically composed of hundreds of islands that it makes it more difficult to travel from one area to another. We make use of land, air and water travels just to get to where we should be. Last time, my father and husband have to travel two days from Zamboanga City via Cagayan de Oro to General Santos City through our family van. They brought a lot of stuffs from old home. However, with the looming presence of a new business, I wish we can bring other equipment from the old house but my husband only rode through his big bike all the way from Zamboanga City. It is quite sad that cross country movers are not at all popular in the Philippines unlike in abroad. It will be quite convenient if these service vehicles are just around. My family in Wisconsin make use of these a lot. Come October 1, I shall be officially unemployed except for my blogging works. I did turn in my resignation paper and my kid and I were simply excited that we can have more time with one another. I only feel sorry that he is sick today. I was however, surprised that he is indeed counting the days that I shall be his fulltime mom instead of the working mom he would only see in the evening. Sigh. But, it is never too late to catch up. So, I shall look forward to the day that I shall be spending much time with my kid and with the business my siblings and I shall start and operate. Whenever my guts allow me, I do bring our motorbike for a drive but I still feel anxious when I drive that I avoid roads with heavy traffic. Also, I don't drive around the city that much. I even envy my younger sister who is all gutsy in driving. What I dread much is the driving at night when some of the roads are not at all well lit. I wish that the road lights can be as strong as halo headlights so drivers won't really be that vision lost. Now, that my husband shall be bringing along another motorbike, that leaves me to the old bike that I have to drive it regularly. But, I have to be all brave and courageous otherwise I shall remain a passenger only with a driver's license. hahahhaha! Come tomorrow, I shall bring the motorbike again with my sister along. My husband who was away for three (3) to send off his brother and his family for USA shall be arriving tomorrow by driving the SLR 250 motorbike all the way from Zamboanga City-Pagadian-Iligan-Cagayan de Oro-Bukidnon-Davao and finally, General Santos City. It shall be a two-day long and tiring lone travel. It kinda pissed me that he did dare to travel alone on a motorbike. tsk! tsk! tsk! Fear is never in the nerves of any extreme sport enthusiast. While my sister and her kid shall be arriving too next week after weeks of vacation in Manila. We are now pretty excited to have the family home. The house will surely be more noisy but we wont wish otherwise. May they have all safe travels home. When our former president, Corazon Aquino died of colon cancer, our entire nation grieved. Cancer is not at all selective of its patients, regardless of social stature or financial prowess. Thus, it is always important that we take care of ourselves. My mom endures high blood pressure always that we reprimand her of unhealthy diet. We don’t want to lose our loved ones to sickness nor accidents, so, prevention is rather than cure, right? But, can all cancers like colon be remedied in early stage? I guess so, therapies like colon cleanser can make a difference specifically, on early stages of cancer. Nowadays, most of the illnesses are brought by wrong choice of lifestyles. We can only be vigilant. My nephew, Ziggy will have his christening this Sunday. We miss the little bugger, his wails and laughs.hahahahh! But, we can’t join my younger sisters in the occasion since they are in Manila. We just have to settle then for pictures and perhaps, some online chat calls. I am one on the godmothers so, my sister simply asked me to pitch in as gift.yikes! hahahahha! I only pray my nephew will grow God-fearing above all else. Are eye problems hereditary? I quite researched on this but I can't find any clear cut answer but my parents do wear reading glasses now that they are above 50's. My other sibling wears working eyeglasses too since she works with electrical designs while I work with computers. Eyeglasses in the Philippines may vary in prices and in quality. So, it is a nice thing that there are $ 8 Rx eyeglasses that can be purchased online. There are cheaper glasses but tend to break off easily and strain more the eyes. How You Can Start Spending Smart ? I guess quality counts more. I don't mind paying more for something that is worth it. My favorite high fashion eyeglasses for my parents are the ones I picked up for them. They will sure love the simple but elegant frames. Some old folks prefer safe and conservative colors. One thing I envy among mothers who have the opportunity to be a fulltime houswife and mom is the time they can spend with their family which is quite impossible or limited among working moms. I did attend to my kid's school activity today and he ranked one of the least performing students in class academically. And, as a teacher for more than a decade, this is quite frustrating and saddening. So, to all the fulltime moms,congrats! Being a fulltime housewife and mom is not all easy but quite fulfilling. I wish I can have this difference once I resigned from job and concentrate on my business. Do you really believe on the adage, "Opposite attracts?" Personally, I don't go for this. I want of course that I share the same interest and principles although not at all times. But, what I don't like is how your partner can actually influence your decision, lifestyle, and dreams. I guess, we can blame this to L-O-V-E.
My sister and her partner have been complaining of their weight but they seem to enjoy eating and dining a lot. hahhahahahha! They tried going to the gym and taking best weight loss pills but still they struggle. I think the bottom line here is that you are happy doing thing because you are with your loved one and that's more important. I have this nasty habit of name calling as my way of showing affection. But this applies only to my loved ones. What became a child's tease became a a love name for me. I called my other sister, Tammy, "Daping," because of her not too prominent nose.hahhahahha! While I called my other sister, "Pangeg." 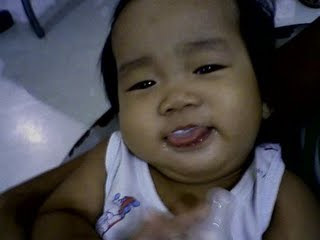 Well, lucky for my youngest sister, I called her "Yang," for her name "Xeria." Funny though that after decades, the pet names remain. My sisters could only wring my neck. hahhahah! An adult learns new skill a little late than younger ones. I find this statement very very true. 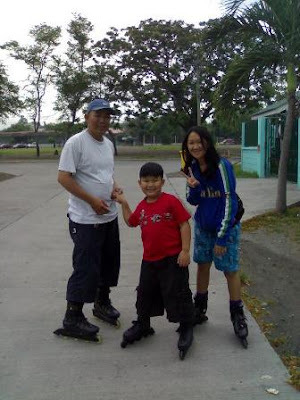 When my husband asked me and my son to learn how to go inline blades, mountain biking and driving, my youngest sister who is in her junior high school was all excited to join us. She and my kid indeed learned faster than I did. We both began to learn how to drive our motorcycle but she was all skilled now because she manage to practice a lot and she just has that guts. hahhahahhah! I however, managed to drive with her around the city and it was more fun than driving alone. Soon, if my other younger siblings will go home, I shall be teaching them too. hehehheheh! Before classes started last June, we seemed to have marked our weekends for recreational activities. I remembered we still played inline blades, bikes, jogs and swims together with the rest of the households. But, with hectic weekdays from jobs, these fun weekends have been replaced by regular watching of TV and manning the store. Now, my bulges are getting heavier and thicker because of immobility from regular office sits and works. Sigh! We really wish we can go back to our old ways or else I have to best diet supplements consider to remove the unwanted lumps. What I always love with family recreation is that they make the moment more fun and memorable. The youngest member of the family shall be away for a week or more and my old folks are becoming senti since their little bundle of joy will be far from them. hahhahaha! Our little cutie! We have become so attached with my nephew because everyday he drives everyone nuts with his cute moves, whining, and laughs. We hope he wont stay long in Manila. Her mom would just have to work on the new business my other sister is planning to have. We will surely miss our little bugger. It is rainy season in the Philippines and poor those kids who have to endure the bad weather just to go to school. Worst, if their classmates get sick, the others get infected too. My kid and nephew would have to hurdle allergy, flu and colds in between school days. And medicines in the Philippines are not at all that budget friendly. It is however, helpful that Medifast discount are given that savings can still be made from these unwanted costs. Economic recession adversely affects family budget and expensive medicines usually hit harder. This is the very reason why the Cheaper Medicine Act is highly anticipated by Filipinos. My sister and I are planning to put up another business. We are still however, evaluating all our options. Eventually, I will give up my new work and just work on my potential business. We just have to plan well so that resources will not go to waste. My mom is our guide too, although, the reset of the family would want me to stay in my job for steady income, but I am not at all happy with the meetings and paper works, not counting personality conflicts of people I deal with. sigh! Well, I have to plan well, then. Good luck to us! Our house is simply quite small but I wont trade it with bigger or elegant house if my family is not around. Somehow, things get easy with loved ones who are always there to support and advice you when you get all cranky, bewildered and lousy. Hahahhahah! Every school morning, my parents help a lot in attending to the kids. So I manage, to get to work on time if not few minutes late. There are sure miracle people like miracle stuffs including cellphones and satellite radios. This weekend, my father shall review my nephew while my mother and sister will attend to our store. I wont be doing any work papers though because I like to have fun.